MM /Aulie out Gryba in is about equal. The key is the coach builds a system that focusses more on the defensive side of the puck. I’d argue Marincin to Gryba is a clear downgrade. Ferrence is another year older, Nikitin another year older. Sekera and Petry are a wash. So it comes down to does Klefbom improve on a straight line and make up the downturn in others. I’d be shocked if Reinhart was effective at this level yet, and I believe the team keeps Nurse in the minors. I think PC wanted to address the D to the point where our defensemen do not have to play over their heads as much this year as they had to last year. They still will to a point however. The GR trade was too rich for my blood and I have a bad feeling about it. I hope I am wrong. I think the other half of the Rogers TV money kicked in this year and helped boost the cap. I am not sure the cap is going up next year. The Oilers will have to keep that in mind. 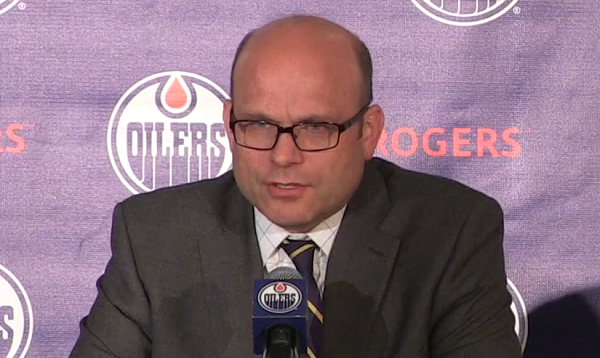 I can’t see Chiarelli saddling himself with another 5 or 6 year deal right now. He’s going to have to sign a goaltender next season. We are three years away from paying McDavid and having to re-up Eberle. Next season we see Purcell, Nikitin and Scrivens drop off the books, and the following year Ference is gone. Patience is key right now. If we are somehow leading the division at the deadline we can look at bringing in some big guns. In the meantime, I like the idea of making Reinhart, Draisaitl and Nurse earn their spots. Having them start in the minors keeps their bonuses off the cap, and gives us options when injuries inevitably hit. Lol just because you don’t like those 3 players JW, it doesn’t mean they were “mistakes”. I don’t remember ANYONE complaining when the oil signed jultz. The only dman on the team with any offensive upside at all. Guys like that can come in handy. Andrew ference was brought in to be a captain which he, imo, has done admirably. 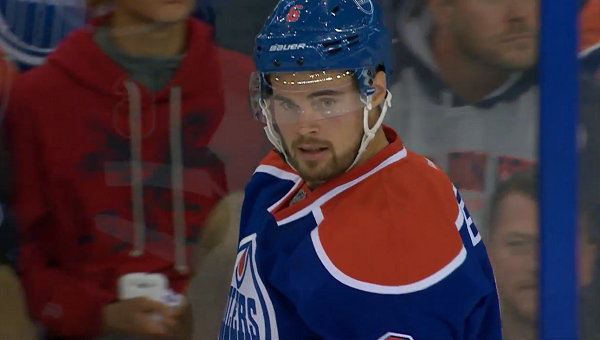 Even tho no one in Edmonton appreciates what he’s done at all… He’ll be fine on a 3rd pairing. There are worse options out there. (Marincin). And the jury is out on nikitin for sure. I just don’t know how you can judge a player on a half season when the whole team was absolutely AWFUL… but in fine edmontonian fashion , oilersnation has picked these 3 guys to blame for last year’s failings, even tho scrivens and fasth couldn’t stop a beach ball last year. I can’t wait till the season starts so that these guys can prove you all wrong. Wherever they may be playing. I wouldn’t blame them if they wanted out. I don’t know how you get rid of Ference with his NMC except to convince him to retire and give him a coaching, training or management position. I’m pretty sure he wants to finish his career in his hometown. Restraint should be the order of the day. The defence is far from ideal at this point but don’t make any knee jerk signings now that they are starting to pull out of this 9 year nose dive. If you can send away Nikitin to a cap floor team then fine but don’t mortgage the next 5 or 6 years on another questionable contract to get rid of 1 or 2 years of a putrid one. I say open camp this fall and let’s see what happens. Maybe Jultz is the odd man out and instead of Nurse or Reinhart going to the minors its him. 25 games in Bakersfield might get his head screwed on straight or they might find out once and for all that he just isn’t going to develop into what they had hoped and MacT and friends come out with egg on their face again. Realistically either Jultz develops into a useful player this year or he is off the books next year no matter what. If its the same soft Jultz then walk away. Nikitin is gone, Purcell is gone and Ference will potentially be gone as early as this trade deadline. Anyone know what the hold up is about Ehrhoff and Franson? Not saying we should sign any of them(however I wouldn’t mind Ehrhoff) but i’m suprised they are still avaliable. Franson looked good in the first 1/2 of the season with the Leafs and bad in the second 1/2 with the Preds. Maybe the Western conference is just that little bit quicker and exposed his lack of foot speed? He’s from BC and may want to come out West but he may be a better fit in the East. Whatever the reason there seems to be a discrepancy between what he thinks he’s worth and what NHL teams do. Erhoff is a different story. He’s got a boatload of cash from his Buffalo buy-out. He probably wants a shot at the Cup. I can see a Hawks or Ducks type team getting him on the cheap. People…you can forget about trading Ference anywhere. He has a NMC and there is no way in H E double hockey sticks would he ever accept a trade to places like Toronto or Arizona. What are you talking about I’ve heard that Arizona is a Great place to retire. All franchise question marks aside, I’m sure he’d waive to move there. Why would either of those teams want him? I guarantee that he would wave his no trade to go to a contender. Why would he wanna stay in Edmonton? Apparently nobody wants him here. Clarkson was traded…even Pronger, Horton and Savard were traded. At least Ference can suit up for some games. He can be traded and so can Nikitin. You forget that Chiarelli has already dumped Ference once before and in all likelyhood will again. If Chiarelli thought Ference was expendable on a good team the Chiarelli knows he’s even a bigger liability on a rebuilding team. 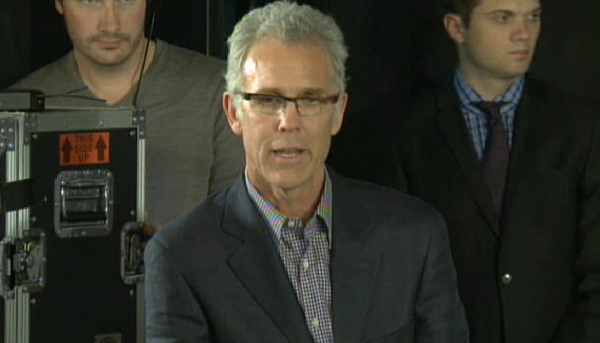 Chiarelli will have a heart to heart and basically tell Ference to move or sit the entire year. Strip the “C” and watch from the press box or be traded. that NMC isn’t worth as much as the paper it’s written on. Nikitin would be the most difficult trade. He’s never shown that well, and last season was awful. He’s not really a specialist in any aspect that would be marketable to another team. His salary is the only thing that might make him attractive to one or two teams that need to get to the cap floor. Are there still any teams left in danger of not reaching the floor? I think they’d have to send a good young prospect with him for anyone to bite on that. Nikitin and one of Musil Moroz or Pitlick to Colorado for Stefan Elliott? I think Purcell is more moveable than Nikitin or Ference. Then Chiarelli and McClellan can figure out how things shake loose on D before the trade deadline. Possible fits for Purcell include BUF, CAR, FLO, NJD, TOR, ANA & SJS. All these teams have very little NHL depth on the RW. Send Purcell and one of Musil, Moroz or Pitlick for a RW prospect or RD prospect. For example: Alex Petrovic in FLO. One of Mark Pysyk, Nicolas Baptiste, Justin Bailey or Hudson Fasching in BUF. One of Severson, Santini or Jacobs in NJD. Nemisz, Carrick, Pesce or McKeown in CAR. Hyman or Percy in TOR. Offer Nikitin a 1M bonus on top of his regular salary due to go to KHL . Offer Ference a similar package to retire with bonus and a job on top of salary owed . Be innovative with Purcell and offer him a significant signing bonus for signing a 1- 2 year extention at minimum salary . Preferably they’d dump 2 bodies and trade for another defenceman. Schultz, Yak, and the 2016 first round for Burns anyone? I think ference will/can have a bit of a bounce back season. Sure, not like he played five years ago but he can still eat up some minutes and provide good leadership. I know this won’t be a popular belief, but I would ride it out with Reinhart and Nurse in the AHL for the first 20-40 games. Now that’s not a playoff roster, but remember injuries will happen and if you trade 1 or 2 away that means you might be calling up Hunt in Nov.
Come Dec-Jan if Nikitin is playing OK he might be worth a pick if you retain 1/2 salary. Schultz might have a recovery with a new coach and have value, and Ference will only have 1+ years left. Gryba will defiantly have value if he is just a short team guy. Fayne – Sekara, play the other teams top lines all zones. Klefbom – Gryba, defensive starts against non top competition. Schultz and Reinhart/Ference/Nurse, o zone starts against non top competition. If deployed like this only fayne and Gryba would be a little out of their depth, but not so much so that it would be a disaster. It would allow nurse and Reinhart to develop and hopefully take over top 4 roles in 1-2 years, at which point the oil would have a very solid defence.taking on a contract like phaneuf would be a big mistake, especially if they had to move out a core player in a few years because of it. Maybe Hunt has worked on his foot speed, he has the offense. One of his biggest problems was who he was playing with. He should not have been playing with Schultz, aren’t they the same type of player, all offense, no defense? Hunt’s turning 27 this summer. I imagine he’s been working on his foot speed for 5-6 years and this is where he got to. More likely that he loses a gear in the next couple of years rather than gain. I’m pretty sure Ferrance has a no move clause in his contract. It’s too bad we didn’t buy out Nikitin when we had the chance, but as it’s a contract year for him, we can only hope that he gets his act together. I feel Ferrance will retire at the end of next season, unless his waives his NTC and gets traded. Nonetheless, both he and Nikitin will be watching a lot of games from the press box this season, or possibly face the embarrassment of being placed on waivers. 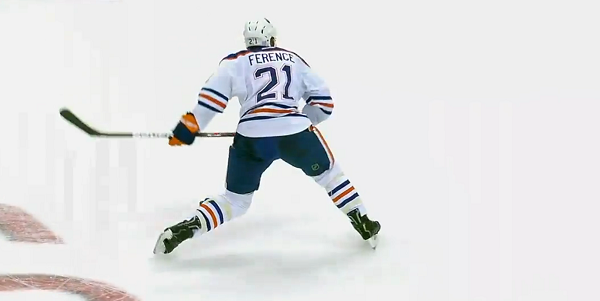 No way Ference leaves 3.25M on the table….no way. I’m pretty sure both of Nikitin and Ference would show better on this year’s iteration of the Oilers than they did last, but moving one would be preferable. I’d actually really like to see Ference stick around as a 3rd pairing guy who can help as a vocal veteran leader in the room. Nikita wasn’t his best last year, but not many were under Eakins. Unfortunately he’s one of the few who didn’t seem to show much in terms of improvement when Nelson arrived. I’m not sure how imperative it is to move pieces out though when you factor in injuries. And though we don’t save much cap by sending Nikitin to the minors, we save some, and we aren’t a cap team. Barring a team needing to reach the cap floor tossing us a 7th round pick for Nikitin, I don’t think he is going anywhere and the same goes for Ference with his NMC. That said, Ference will likely have a much better year now that we have a little more depth and Nikitin could potentially also come back with a little more intensity – it’s a contract year for him and unless he wants to go back to Russia after the season he might need a good year to earn a contract somewhere. It would be great to add another D, Jan Hejda for 1 year would be my choice, but I think they have a serviceable D as it is. Send the 2 top D prospects to the minors for half the year until the inevitable injuries happen. Sekera and Fayne should be lights out together. Klefbom and Shultz should flourish on a soft minutes second pair and that third pairing can hold their own against middling to low opposition. If Nurse or Reinhart starts to push for a job, let them take it and this could go better than expected. Now if only Shultz was spelled Petry… then we wouldn’t be having this conversation at all and we’d have drafted Matthew Barzal. First time in years we’ve had a competitive environment on defence, and you want to dump bodies @Willis. Come on man, give your head a shake. Make Darnell and Griffin earn their spots! We can bury Nikitin in the minors if necessary, or if he plays decently we can trade him for a low round pick at the deadline. Might have to retain half his remaining salary but that’s not a big deal. Competition for spots is a good thing! Sorry to go off topic, but does anyone know when the new Oilers jersey is coming to stores. Gryba sure looks like a wasted addition now. In all likelyhood Nurse could come to camp and be the best blueliner and there won’t even be any room for him. This will be the camp Darnell shows he could’ve stayed last year. Then there’d be one less rookie breaking in this season. It’s up to the raw rookie now to step in and play cop if someone targets some of the players who need others to fight their battles. It’s refreshing the Oilers seem done with plugging young players into key positions, or at least too many young players in the same year. Darnell will play for the Oilers next year, but maybe he doesn’t need to start there. He hasn’t played for a long stretch in any pro league, so why not let him dominate that first before resting expectations he’ll come here and dominate? Maybe he could show a little of that character we have seen in players like McDavid, Nuge, Hall, Eberle . . .
Or is that tooooo much to hope for???? If NN wants to continue to play in the NHL he’ll bring his A game next season. If not he’s done in the league. It’s really a no lose situation for the Oilers, apart from the salary. If he comes in good form the Oilers get a pick for him at the trade deadline, if he stinks it up again then Darnell or Griffin “earn” a spot on the team. If he has a good year, at 29 years old he can probably make another $6-10M playing hockey… That should be pretty good motivation. In all my years of watching hockey I have never ever heard the hype for a 16th overall pick that this Brazal kid is getting on this site. 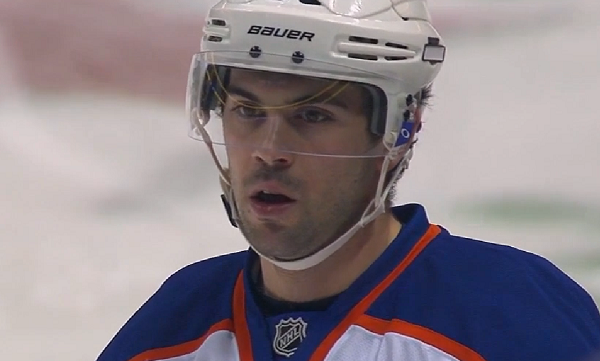 Good on him I guess, maybe one day 10 years from now he’ll pass Sam Gagner on the all NHL points list…. You know the NYI islander fans are losing it for trading Reinhart for picks..
To the contrary, Islander fans are planning a parade to honor Snow. They went into this draft with no 1st round picks and ended up with two when they packaged our #33 to move up. With our #16 they picked a center who was rated to go in the top ten. Reinhart was ranked somewhere around tenth on the Islanders’ defensive depth chart. Even if Reinhart fulfills his complete potential (which i hope he does) and becomes a second pairing D for us, that doesn’t make it a bad trade for the Islanders. Comparing Reinhart’s value to the Isles with Nurse /Draisaitl value to the Oilers is totally apples/oranges. I haven’t seen so much hype on this site for Barzal? I think the people on this site are probably biting their tongues . . . and hoping (maybe even praying) . . . that Griff turns out to be the horse in the NHl that he was in the WHL. No one wants to criticize Chiarelli (yet) . . .
BECAUSE WE ARE JUST SO THANKFUL we finally got rid of “Dumb n’ Dumber” who were making the hockey decisions previously. PLEASE . . . PLEASE . . . PLEASE, Griff, really THRIVE in the City that loved you so much as an Oil King! BE THE STUD we all hope you can be! It is difficult to guess who will shine/tarnish under a different system; who will emerge/plateau; who will bounce-back/regress; and most unpredictability: who will get injured. One (or both) of Schultz/Nikitin may find their form under McLellan and become a useful point man on the power play or at worst a good trade chip at the deadline. Klefbom might regress. Nurse might be undeniably NHL ready. Ference may land on the LTIR trying too hard to be a young man. Joey Laleggia might stun us all and emerge from camp as the seventh man. The point is, after all the recent upheaval in Edmonton, we just don’t know, and neither does the new Oiler brain trust. Hard to forget Schultz’ AHL work during the lockout. I think he could rise under the glory of McDavid. We need the puck movement, and with better coaching and usage his trade value could rise. YES, we need to make one heck of a trade – a blockbuster – to get a true #1D. It will seem painful at the time. If we get a real quarterback coming back, it will be more than worth it. If you think Nikitin was bad ( and he was) then your not paying attention to the All the avalible stats out there because Ference by ever number imaginable is bloody awful…. Ference dragged down everyone he played with by a country mile, it’s not even close. Ference on the new defense shouldn’t even make the team and would be in the bottom pairing in the AHL. That’s how bad he actually is. Full Stop. Agree with what your wrote. You don’t really need to look at the stats to see that the Ference was awful, but there were things that he brought to the team that nobody else would do and it needed to be done. The only plausible solution I see is to dump Shultz for a pick and then package that pick with ference for future considerations. Anaheim is looking to add a veteran dman and they build through the draft. They might consider ference and a 2nd for future considerations. Nikitin is a lost cause. IMO, the best would be to keep him as a 7 th damn while starting nurse in the ahl. we start praying for lots of injuries to dman around the league and hopefully find someone to take NN. The alternative is to put NN in the ahl and get the 900k cap savings. I do not want a buyout because it carries into next year. I think a lot of people are misunderstanding how cap floor teams operate. Cap ceiling teams want players who outperform their cap hit, and engineer situations where players get paid more real dollars than their cap hit. Cap floor teams want players who outperform their real dollars, and engineer situations where players have a higher cap hit than their real dollars. Chris Pronger is a perfect example of a cap floor “player”, the team pays $525k in real dollars, but they get a $4.9m cap hit towards the floor. And he’s not worth half that. I’d rather pay Pronger $500k to work for the league than pay Nikitin $4.5m to play hockey. Nobody wants Nikita Nikitin, cap floor teams probably least of all.